FOREIGNERS COMPELLED TO EXCLUDE "FOREIGNERS"
Recently I visited Misawa, Aomori Prefecture, to see friends at the local American Air Force base. Going out for drinks on the evening of March 28, 2002, we discovered several cheap bars (all you can drink for 2000-4000 yen an hour, hostesses' drinks included) a few minutes from the base's main gate. However, they had signs outside saying "JAPANESE ONLY" and denied us entry. A permutation of the phenomenon seen in the Otaru Exclusionary Onsens Case, this is a consequence of Japan's continued unwillingness to honor its 1996 international treaty obligations and pass laws against racial discrimination. However, this time there was a new twist: The foreign staff (Russian, Filipina, and Chinese hostesses) at these bars doubled as bouncers, kicking out all "foreigners". "Foreigners" included a naturalized Japanese showing proof of citizenship. The following report will offer photo and eyewitness substantiation, attempt to provide insights into the mentalities behind the methods, and conclude with thoughts on why this case matters. Another example of Misawa's tenuous links with the base community can be found in the bar district one block from White Pole, which deals with foreigners by shutting them out--publicly, overtly, and unmistakably--with "JAPANESE ONLY" signs outside the premises. "Please acknowledge it although it is very sorry, because only one of Japanese is asking to do the entrance store in our shop although I asked to come it to this special KING MOU." "Sekkaku tou Kingu Muu ni okoshi itadakimashita ga, touten de wa nihonjin no kata nomi nyuuten shite itadaite orimasu no de, taihen moushiwake gozaimasen ga, douzo goryoushou kudasai." "It is a shame that you've come all this way to King Mhu, but this store in particular will only allow entry to Japanese people. Our deepest apologies, but we we ask for your understanding." 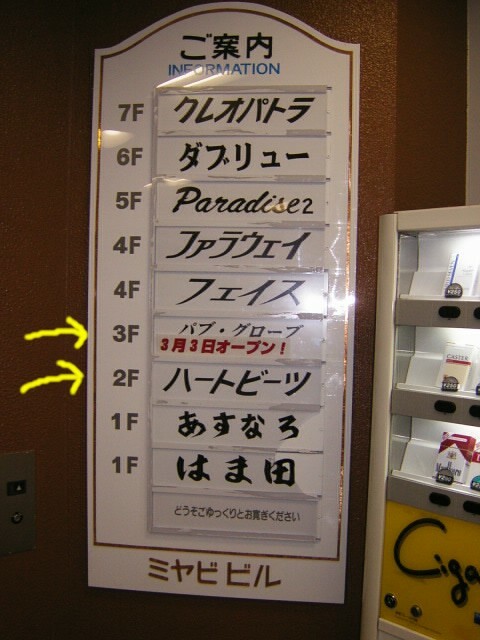 Drinks are listed as 4000 yen per hour, all you can drink, hostesses' drinks included. Come as a party of six and the drinks are 3000 yen per hour. It is even in the same font as exclusionary onsen signs in Otaru. My friend and I went inside, only to face a Filipina (discernable by her accent) hostess who told us in English we were not allowed in. I asked her why in Japanese, and she responded in Japanese that it was the manager's policy. I asked to see the manager. She said he was not in. 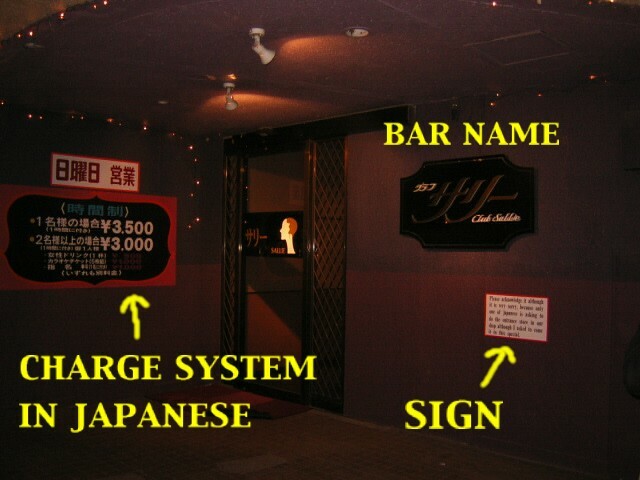 I then got the attention of an older Japanese man tending bar, and asked him why this establishment excludes foreigners. He gave the same response about manager's policy and how he could lose his job if he let me in. I then produced my Japanese passport and asked how now. The Filipina cut in in English that their rules would only let in Japanese who were born in Japan; I retorted in Japanese that I was not talking to her. The bartender responded that even with a Japanese passport, I was not allowed in for it would mean his job. I then thanked him for his time and asked him to reconsider the policy as we departed. The deal is the same: 4000 yen/hour, all you can drink, hostesses' drinks included; come as a group of six or more an get 1000 yen off the price. As we went in, this time a Chinese hostess took time out from her customers to come up and refuse us in English: "No Americans allowed." I asked for the manager and was told he was out again. I then asked an older Japanese bartender there for reasons why and he gave me the same song about managerial policy. When I showed him my passport, he still refused entry. When I asked him if he did not consider this racial discrimination, he said that he did not, but would not elaborate further on reasons why foreign-looking peoples were not allowed in. We expressed gratitude for time spent and moved on. making one suspect there is a local restaurateur's association making standardized signs (as seen in Monbetsu, Hokkaido). REASONS WHY: Americans molest (itazura suru) her bar girls. 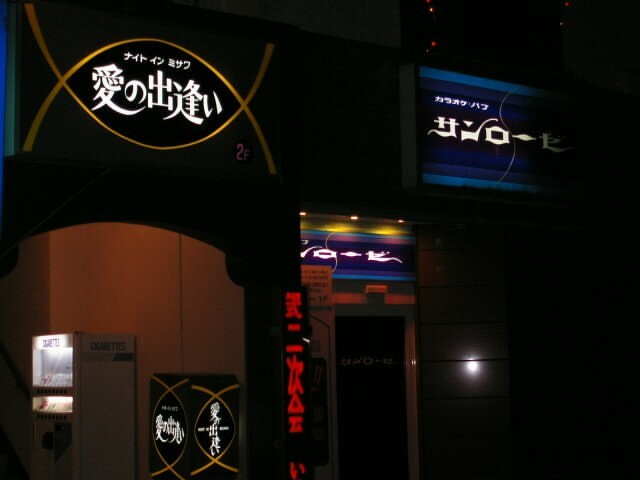 There are other bars in Misawa open to foreigners, thus foreigners can have a better time there than at her bars here. No, my being allowed to enter her bar would not make her customers have a bad time, but naturalized Japanese or not, no people who look American are allowed in. No, to Sachiko this is not racial discrimination. We did not go inside, as Sachiko is also the manager there. This "sunakku" full of foreign hostesses has a sign outside explaining all the charges (3500 yen per hour, 3000 yen per hour for more than two people, prices for karaoke, for requesting a specific hostess, etc) in Japanese. It also displays an exclusionary sign with exactly the same cryptic English as the ones above, but with no Japanese below it (perhaps to get around paying for an official local-association-produced sign). REASONS WHY: Just folllowing orders. If this were her bar, she would let us in. Otherwise no dice. Manager's policy. In the end, none of these visits gave us a straight answer to the root question: Why would managers wish to refuse foreigners? We decided to widen the net and get opinions from bar owners who don't mind foreign clientele. "I think the bars find it a nuisance to deal with the American military. The boys get shocked by the amount of money they have to pay at these places, and make trouble. They don't understand the Japanese system of service charges, like paying for "charm" and for hostesses' drinks. I doubt the bars need the military's patronage anyway. At current exchange rates, they don't have much money. They just aren't worth the trouble. That's why they get excluded." I inquired about my status: I was both civilian and Japanese, so why was I refused? "Because you don't understand how we feel about these things." I asked whom she meant by "we". Manager: "We Japanese." When I asked if this was not a problem of racial discrimination, she retorted: "In England, I know places that refuse service to Japanese. Discrimination is everywhere in the world and there is nothing one can do about it (shikata ga nai)." When I pointed out that there are laws against racial discrimination in Britain and one can get arrested for this practice, she angrily responded that no laws would fix how we Japanese feel. "The bars you mention are famous for refusing foreigners. Except for the foreigners they employ, of course. They're owned by the yakuza [Japanese mafia]. I know this because they excluded me, even though the owners know who I am: I've been living in Misawa for well over a decade. Yakies can come into this bar, and often do. But I can't go into theirs. The double standard pisses me off. "Probably comes with the territory. Misawa is rural outback. Plenty of farmer's daughters with time on their hands get to know our boys in the Biblical sense. That's bound to raise a few eyebrows in an area where provincial attitudes and the yakies are so strong. "That's why I don't recommend you drop by the bars again without some form of security. I'm sure they're investigating who you are. Not too many Caucasians bearing Japanese passports make the rounds here. If you do, they will rough you up. Yakies have few reservations about doing that, as you might imagine. We have a number of cases every year where a few green or errant American servicemen get beat up pretty badly. Rumor has it on a few occasions yakies have even chased them beyond the main gate and roughed them up on the base proper, with the Japanese police and JSDF guards turning a blind eye. "Anyway, as a bar owner, I will admit that the boys from the base are not always model customers. They do steal--my bar loses dozens of shot glasses every month, and when the place gets crowded my wall hangings sprout legs. They can also be arrogant: Few know the local language, and the young monolinguals seem to expect everyone else to speak English. When they get drunk and cut loose, as would happen in a place as isolated as this, they can get pretty 'USA! USA!' and in-your-face. 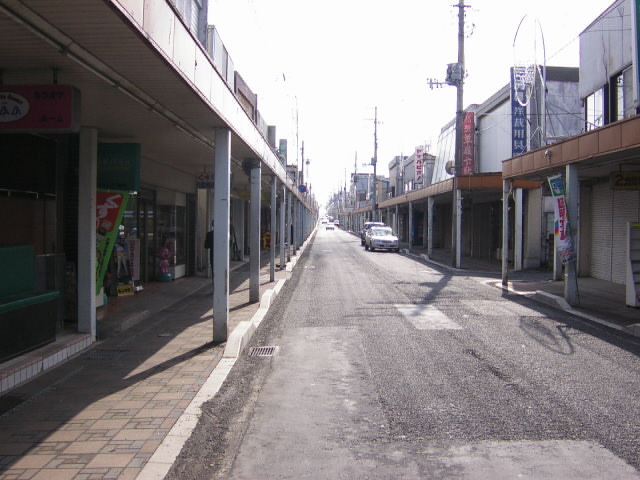 Besides, the family-oriented businesses along White Pole Road have suffered with the opening of Shimoda Mall about twenty minutes from here. When people drop by an area for little more than to visit watering holes, you get a very specific clientele with specific needs. The rest stay on base. They basically have everything they need there already." "Contact with the 'natives' and the base is not very close. They keep to theirs, we to ours. Especially where people are drinking." I will start by noting some differences between the Misawa and Otaru Cases. In Otaru, businesses targeting families (bathhouses) reacted to allegedly unruly seaport visitors (Russian sailors) by putting up signs which excluded all foreigners (see background to Otaru Case here). Thus exclusionary rules affected innocents (international residents and their families) and spread to other cities and business sectors. Essentially, the precedents set in Otaru adversely affected the more assimilated foreign-looking peoples in Japan. In Misawa, however, businesses targeting pub crawlers ostensibly reacted to a local but unassimilated community (a permanent base of Americans) by reserving hostess bars for people who look Japanese. These are not the family-oriented businesses at issue in Otaru. Furthermore, one may argue that these are merely localized vigilante reactions to a military-base economy and will not spread to affect more assimilated foreigners in Japan. However, the Misawa Case should not be ignored. For one, the above Misawa businesses are still places where essentially anyone of legal age can drink. They are not, ahem, the specialized prurient outlets (soaplands, pink salons, what have you) found elsewhere in this bar district. The signposted excluders, like any other "sunakku", pull in people with typical tactics: cheap drinks and appealing women. Although I will stress here that fighting for "equal access" to Japan's water trades is not on my personal list of priorities, I do find it ironic that places which take the trouble to explain the drinking systems outside in Japanese won't do the same in English using their multilingual staff. For another, letting these signs stand unchallenged sets a bad precedent. Seemingly localized problem or not, historically speaking, phenomena like these have encouraged other Japanese towns and business sectors facing specific cultural problems to refuse all foreigners in general. With the rapidly internationalizing society that Japan has become, allowing the closed-minded to take the easy way out by slamming their doors is not helpful. Essentially, the Misawa Case still boils down to an issue of racial discrimination, employing all of its assumptions. 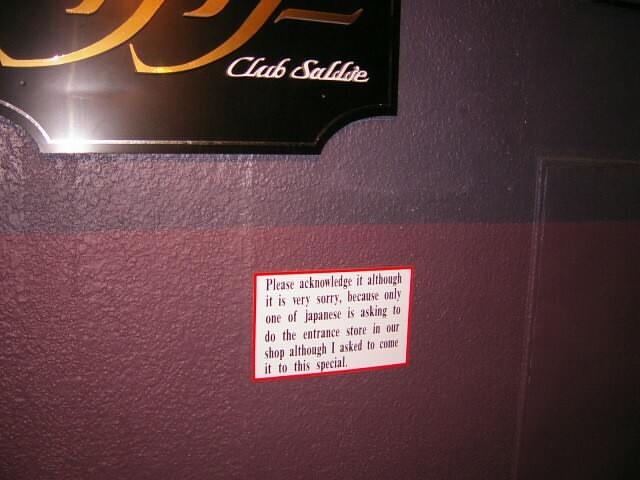 Even without a language barrier, even when presented with material evidence of legal and cultural assimilation through naturalization (yes, including cultural, when one considers how difficult it is to naturalize), the establishments maintained the canard that those who do not look Japanese can never ever be Japanese. 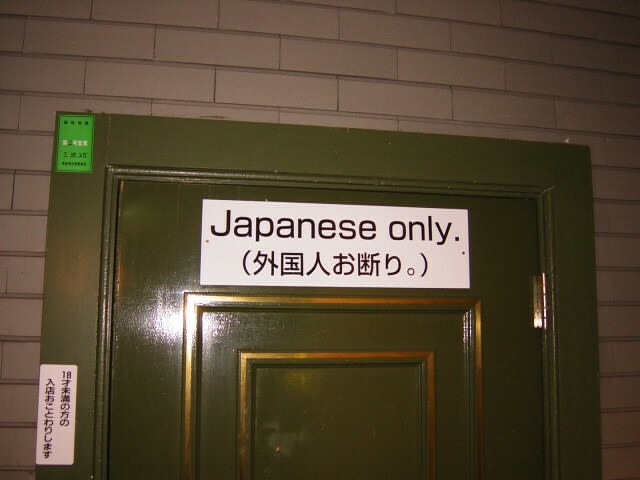 If "JAPANESE ONLY" was truly the sole criterion for entry, as a Japanese citizen the choice of entry should have been mine, not theirs. Finally, spice the whole event with irony. The refusers in every case turned out to be the foreign employees. Personally, being denied my existence as a Japanese, in my country, and by those who have not yet earned that qualification, is quite offensive. All this is why the Misawa Case deserves attention. Unfortunately, I feel this will not happen. In 2000, after hearing from American members of the JET Program of their exclusion from a Misawa bathhouse, I notified the pertinent authorities: the US Consulate in Sapporo. I received assurances via them from the Mayor of Misawa that exclusionary establishments do not exist. On March 28, 2002, I found this to be untrue, and notified several Western and Japanese newspapers (Asahi, Mainichi, Kyodo, etc) and TV stations. I got not one answer from their Aomori affiliates, which makes one assume that they feel there is no news in this event. For its part, the Misawa Air Base command will probably not be a bad guest, since making a fuss would probably only make people wonder more strongly why the base is there at all. Meanwhile, the bar owners can stand fast, opening new bars with exclusionary signs in defiance of international treaty--while the Japanese government continues to refuse to pass laws which will protect all of its citizens from discrimination by physical appearance. BACKGROUND: In March 2002, in Misawa City, Aomori-Ken, northern Honshu, a naturalized caucasian Japanese was refused entry to several cheap drinking establishments outside the gate of Misawa Air Base, an American military base in Japan. 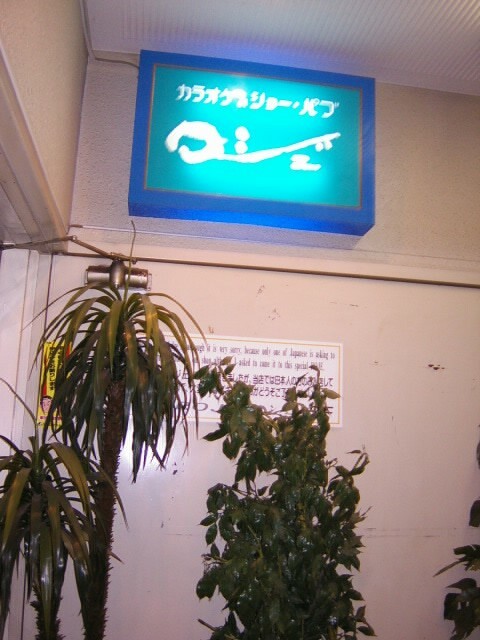 Not only did these establishments display "JAPANESE ONLY" signs outside, they had their foreign hostesses refuse the Japanese citizen even after he presented his Japanese passport. 1) On April 8, I consulted with a Mr Narumi at the Aomori Bureau of Human Rights, at (017) 776-9024. It had been a full month since I had notified him of the event with no feedback, so I telephoned him yesterday, May 9. He indicated that the Bureau had contacted and visited each establishment in question, and heard their side of the story. The Bureau had verbally demanded that the exclusionary signs come down, or at least have the wording changed to something like, "We refuse anyone who does not understand the drinking charge system." The establishments refused, so now the Bureau is considering (kentou shiteimasu) next steps. I asked whether there would be anything in writing, such as a "demand for improvements" (kaizen yousei), and he said that this would be considered. For how long? Unclear. I then requested that the Bureau break tradition and redouble its efforts here. A citizen and taxpayer, I stressed that my rights under Japanese Constitution Article 14 had been violated, and I did not want the same thing to happen as had happened with the Sapporo Bureau of Human Rights (I, recently-naturalized, had been refused entry at Otaru's Yunohana Onsen on October 31, 2000, but the Sapporo BOHR ignored my written requests for assistance). I said the Aomori BOHR's minimum effort should be a "kaizen yousei" in writing; the Asahikawa BOHR, after all, had sent one to Monbetsu, Hokkaido, protesting signs put up by 100 restaurants excluding all foreigners. Mr Narumi said that would be considered, for how long again unclear. 2) On April 11, I consulted with Consul Drew Schufletowski of the US Consulate Sapporo, at (011) 641-1115. He said that the USG was not legally allowed to go to bat for a Japanese citizen, and that I should take this up with the pertinent Japanese authorities. I replied that I had done so; moreover what I was asking for was not personal assistance, but rather for the US State Department to at least notify both the Mayor of Misawa and Misawa AB Command that the State Dept was aware of the situation, and to express hopes that a reasonable solution could be reached. The Consul replied that it was the Sapporo Consul General's opinion that this was, quote, "not a bilateral issue", and "not an issue of human rights". No action by the US Government would be taken. It is a disappointing situation. It seems that wherever there are American bases, both the US and Japanese governments will tend to ignore issues which are explicitly resolved in both of their national constitutions. I am particularly disappointed by the Americans. With all due criticism of Misawa's vigilante drinking establishments refusing people by skin color, it is a shame that the US Government will take no action to help clean up the mess its military helped create. Even when it affects citizens of their host country, Japan. Now with the Bush Administration's unprecedented decision to "unsign" a treaty establishing an international criminal court (Int'l Herald Tribune/Asahi Shinbun, May 7, 2002, Front Page, available at http://www.iht.com/search.php?id=56710, or click here for text in case this link is dead) it seems the Americans are trying to become even less accountable for their actions in the world arena. MISAWA AIR BASE, Japan--Campers from the base who trashed a campsite in northern Japan left behind unmistakable evidence --a roll of undeveloped film. The campsite owner--who will no longer allow Americans to stay at his camp--developed the film and gave the pictures to base officials. Base commander Brig. Gen. Chip Utterback called the situation, "our very own version of America's dumbest criminals." "What we carry can't be found anywhere except at the Commissary, so we have a pretty unique signature," said Utterback in his weekly commander's update aired on Misawa's American Forces Network. The campers were "posing with the booze--the guy holding the bottle was certainly underage and holding stuff they ultimately left in the park," Utterback said. When they were finished, the campers left behind garbage and waste. The result of this "ugly American incident," the general said, is Americans are no longer welcomed at the campsite. "That was the straw that broke the camel's back for that campsite owner, and that's too bad for the rest of us," he said. Noting that Americans in Japan are "walking and talking American flags," he urged viewers to treat campsites in Japan "as if they were at home." Utterback said he is seeing an upswing in the number of complaints from off-base campsites but lauded "the vast majority of you [who] are great ambassadors." Base spokeswoman Maj. Claudia Foss would not say if the underage drinker seen on the film would be prosecuted nor would she name the campsite where the incident took place. 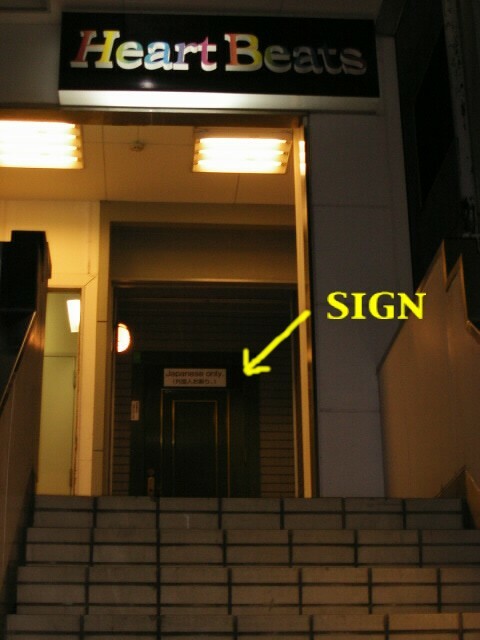 Since mid-2002, an exclusionary sign has been on the front door of a disco in Akita, northern Honshu. 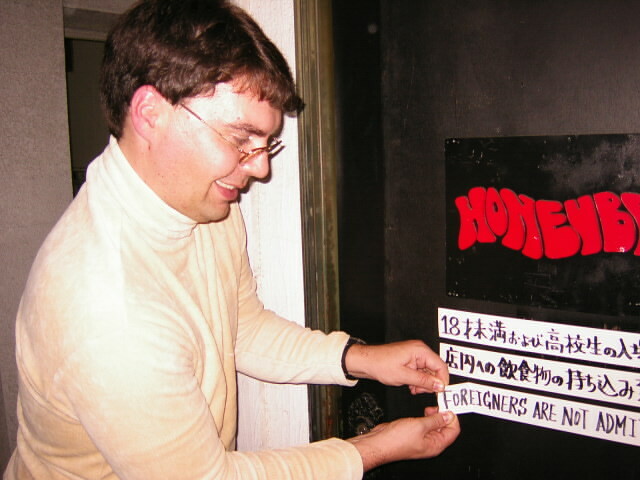 Proclaiming "FOREIGNERS ARE NOT ADMITTED" (http://www.debito.org/roguesgallery.html#Akita), "Honeybee", highly popular with the city's musical youth, thus barred all foreign custom. In Akita for work-related reasons, Arudou Debito dropped by to see how he (a naturalized caucasian Japanese) would be treated, to hear the disco's side of the story, and to ask the management to take the sign down. Result: success. 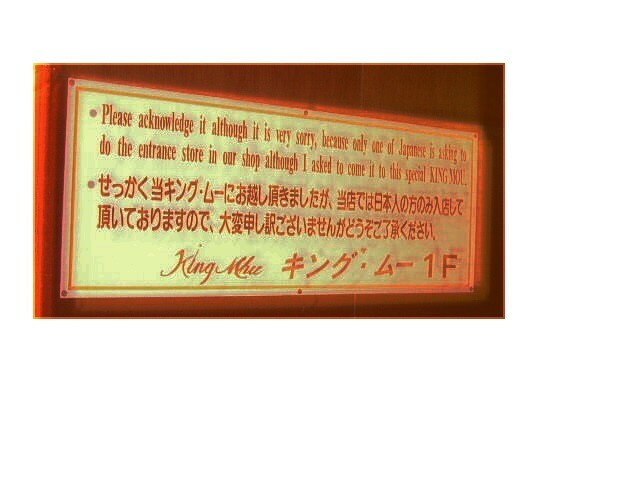 Manager Mr Sakamoto agreed that so long as foreigners minded the rules, there would be no problem letting them in. 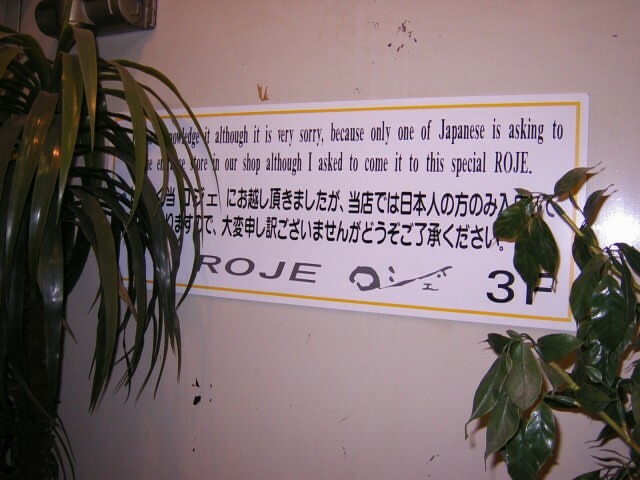 Arudou then translated Honeybee's rules into English for a new sign, and removed the old sign from the front door. It was only the second time (in years of negotiating with exclusionary establishments) that Arudou accomplished this after one request. However, success would not be a recurring theme of this trip. 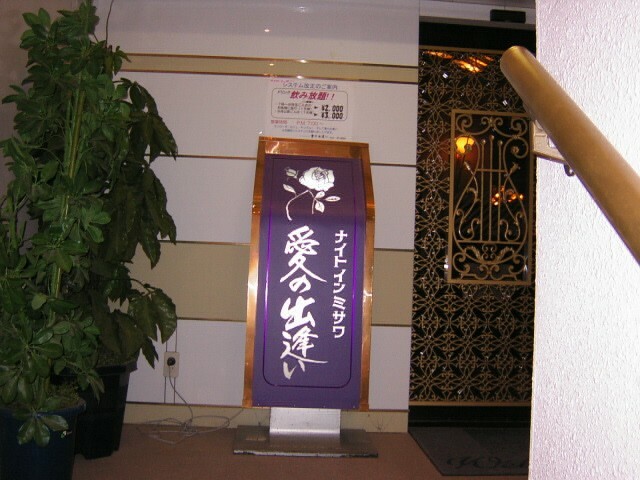 In Misawa, Aomori Prefecture, Arudou's fourth visit to confirm developments (previous trips at http://www.debito.org/misawaexclusions.html) revealed that of seven establishments (six bars, one karaoke parlor) warned by the Ministry of Justice in mid-2002 to remove their "JAPANESE ONLY" signs, only three had complied. The four holdouts were all owned by the same person, who once again refused Arudou entry without explanation. On the other hand, the owner of two former signposting bars this time granted Arudou entry, and quite profitably. Owner also admitted his exclusionary signs were a copy of Otaru onsen signs he had seen in the newspaper, proof positive that years of negligence by Otaru City had inspired copycat discrimination elsewhere in Japan. These cases will be grist for a future separate class-action-style multiplaintiff lawsuit against the Japanese national government (i.e. not merely against the City of Otaru, the defendant in the current Otaru Onsens Lawsuit (http://www.debito.org/otarulawsuit.html)). Reason: the Sapporo High Court (and the Supreme Court, some years from now) will probably reaffirm the lower court's 2002 ruling to absolve Otaru City of any responsibility, claiming the national government, not the local, was the signatory to the UN Convention on Racial Discrimination in 1995. Thus a new lawsuit will close the loophole, since there is no plausible deniability for the national government honoring international treaty obligations and making this discrimination illegal. So fellow excluded peoples of Japan, join in: The more people who get refused nationwide at exclusionary establishments and join the new lawsuit, the stronger a claim of social damage and nationwide negligence can be made in court. More details on the suit forthcoming in 2004. 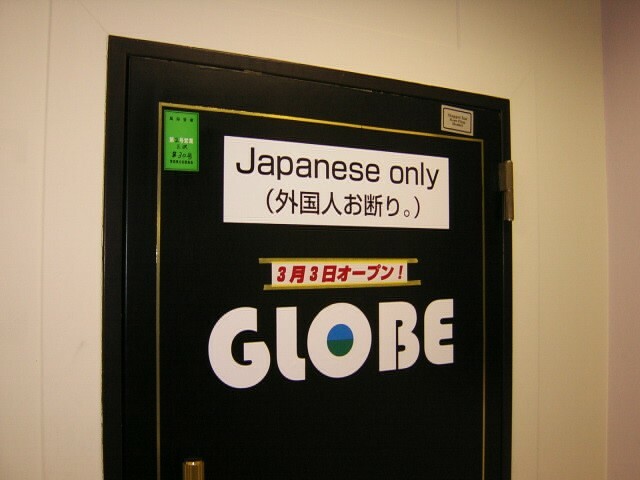 THEIR SIGN: "Foreigners are not admitted", displayed since around mid-2002, according to the head manager, Mr Sakamoto. PROCEEDINGS: Walking in (the room was dark and I was wearing Uniqlo, so it was not immediately recognizable that I was caucasian), the reporter and I paid the cover charge (1000 yen) and parked ourselves at the counter where the manager, Mr Sakamoto, was tending bar. I greeted him in Japanese, and, despite a look of surprise on Mr Sakamoto's face, was soon served beers and cocktails. Reason given for letting me in: I spoke Japanese, and was accompanied by a Japanese, which made him doubly sure that we could communicate. If I had not been accompanied? Mr Sakamoto claimed my Japanese was good enough for admission anyway. THEIR SIDE OF THE STORY: There had been trouble with foreigners bringing in cheaper drinks from outside, and standing outside the bar disturbing the neighborhood peace (I found it a little odd how a disco booming well into the night posed less of a disturbance). Since Mr Sakamoto could not caution them in English to stop loitering, foreigners would then pretend they couldn't understand and continue their deeds unabated. Mr Sakamoto also claimed that foreigners had knocked over his motorcycle and sullied his toilet (although he admitted he hadn't exactly witnessed foreigners doing this), as well as cause trouble with female patrons through untoward forwardness in their meat-marketing techniques (probably true, but drunk Japanese, as any female in Japan knows, can be quite shitsukoi when in nanpa mode). He saw foreigners as deliberately disruptive, and decided last year that refusing them would keep the place more appealing. IF YOU DON'T, WE CALL THE POLICE. Other people pay with no complaints. I then translated the text back (the Sakigake reporter, literate in English, confirmed the contents), and asked if those rules were in place, would he consider taking the front-door sign down? He said yes. I cautioned him that to keep the peace, he would have to strengthen his enforcement techniques from now on (as any establishment worldwide offering liquor and sexuality on tap should--yet Honeybee doesn't even have a bouncer). Don't let the rules become a bluff. He then gave me permission to take the exclusionary sign down from the front door. I have since added it to my collection on my office wall. 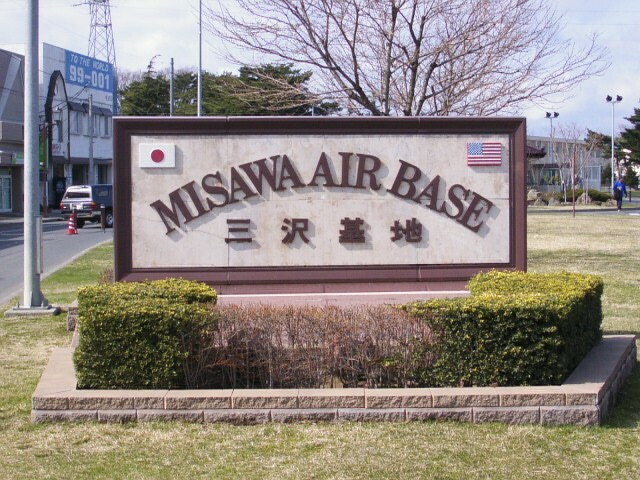 Quick background: I have been to Misawa four times now visiting family within the (American) Misawa Air Base, and have been out drinking with friends on three of those occasions in cheap drinking establishments a couple of blocks from the front gate. On each of those occasions I was refused entry to bars expressly for being "foreign" (despite displaying my Japanese passport), ironically by a bevy of foreign hostesses. In contrast to my Akita experience, few tete-a-tetes in Misawa ever resulted in managers emerging to discuss the reasons for excluding me. 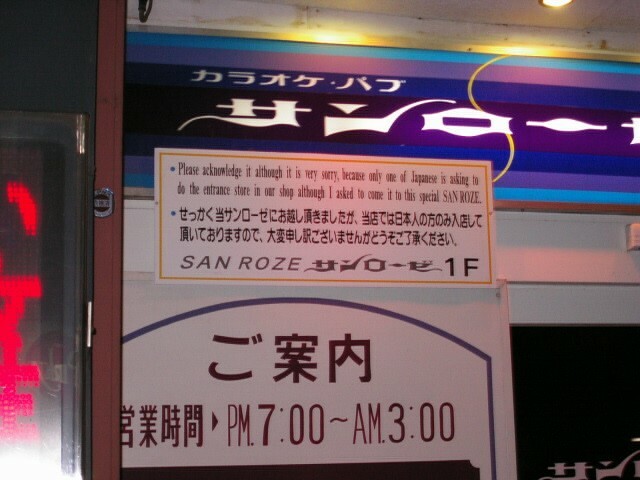 One owner, an enerprising lady who would only falsely identify herself as "Sachiko", has four separate exclusionary-signposted establishments ("King Mhu", "Roje", "Ai no De-Ai", and "San Rouze")--one right in sight of the air base's main gate. She turned out to be downright duplicitous in her customer relations. Full background to my March 2002 Misawa visit with photos is at http://www.debito.org/misawaexclusions.html , but in August 2003, a (hitherto unreported) visit to Misawa by me revealed that more than a year later, "Sachiko" had completely ignored Ministry of Justice demands that her exclusionary signs come down. She also, in a chance meeting at bar "Ai no De-ai" on Saturday, August 16, 2003, personally denied me entry, claiming that with a busy Saturday night, I should come back the next day when I could be admitted. That turned out to be a lie, as I was refused entry yet again on August 17, when a sparsely-populated bar on a 10:30 PM Sunday night was said to be "full". Even after one of her (Filipina) hostesses phoned her to check her previous night's invitation, "Sachiko" never appeared to explain why her promise would not be honored. 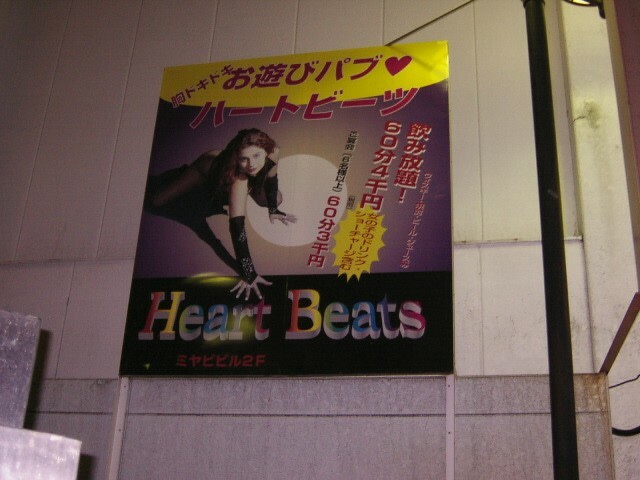 Three other establishments, "Sally", "Globe", and "Heart Beats" complied with government demands to remove their signs as of November 2002. But a check by Arudou Debito on August 16, 2003, revealed they still refuse foreigners if they do not speak Japanese. I, fortunately, would be admitted, as long as I was willing to be seated out of sight of the front door to "avoid misunderstandings". Nice people. Begs the question why they would set up bars in this area in the first place (right next to an American airbase that has been here since the end of World War II) if they wanted to avoid foreign patronage. THEIR SIGN: "Please acknowledge it although it is very sorry, because only one of Japanese is asking to do the entrance store in our shop although I asked to come it to this special KING MOU"
PROCEEDINGS: Although the place was deserted (with about fifteen hostesses, mostly Thais, idling around), the main mama of the establishment (aged fifty-ish, clearly in the managerial position) came round to try and kick us out as quickly as possible. All questions by me or by the student were rebuked with a series of "sumimasen"s. Entreaties for a reason why and a number of displays (and close inspections by even the foreign hostesses) of my Japanese passport were ignored. THEIR SIDE OF THE STORY: There wasn't one. Main Mama (who would not give her name) refused to talk to me--only to my student friend--saying that it was not her decision to refuse me and that she was only following orders. Main Mama did, on my student's request, telephone the main boss ("Sachiko"--a name Main Mama did not recognize) to confirm that I was not allowed in. 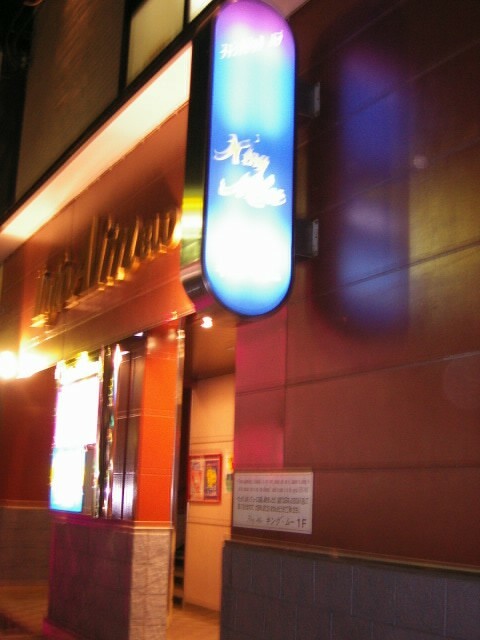 I asked to speak to her boss myself about this, and Main Mama told us to go to Bar "Ai no De-Ai", where she said "Sachiko" currently was (she even gave us a matchbook to make sure we could find the place). So off we went. PROCEEDINGS: A Filipina hostess did the honors of refusing me and breaking the news that it was the manager's day off. A request to telephone and confirm that we had agreed to meet was eventually rebuffed with an excuse that "Sachiko" was even out of town (though when the hostess made the call, she entered a local number). No, my passport had no effect. No, nothing could be done since these were the rules. Needn't go on. You get the picture. Afterwards, my student was so shaken by this experience that she did not want to see what would happen at "Sachiko"'s other two establishments. So we went to a place whose owner felt a greater obligation to honor his word. I had talked with the Manager, Mr Kitakami, on August 17, 2003, when I went with an American friend and was refused entry. Actually, he said, I could enter, but the airman couldn't because he couldn't speak Japanese. When I asked him if he could enter on my recognaizance, he said no, because where would he draw the line? If one beigun got in, then five would want to get in if they had one Japanese speaker amongst them. And then the place would be a shambles. I thanked him then for taking his exclusionary signs down (here and at "Globe", one floor above), and said I would be back again to give him some business when I could enter without leaving a friend outside. So that's what my student friend and I did that December 3, 2003. Mr Kitakami remembered me and let me in without hesitation, seating us in a faraway inconspicuous nook ("just in case some Americans see you and get the idea that they can come in too", said Mr K) for beers and interesting conversation with some gorgeous Rumanian hostesses. Paid 8400 yen for an hour's privilege. There's got to be a cheaper way to stand up for your rights. I'm sure some readers by now are wondering if I am a glutton for punishment. Why keep going back only to be refused, sometimes quite humiliatingly (although, fortunately, not violently) by people who simply are not interested in discussing the issues? 1) that discrimination on the basis of race--not culture, tradition, nationality, language barrier, whatever excuse people can fish for--is happening in Japan, sometimes carried out by dishonest people who will on no account see reason or treat certain human beings with respect. 2) that these are not isolated incidents. It is part of a nationwide trend of brazenly signposted discrimination which is relatively new, unchecked, and growing in Japan. 3) that all other avenues available to resolve these situations, including direct negotiation with the discriminating parties, governmental action, and social exposure, have been unsuccessfully attempted. 4) that for this type of discrimination, there is no legally-sanctioned recourse of action in Japan outside a courtroom to protect one's constitutionally-guaranteed rights. 5) that this complete lack of legal protections against discrimination of this type is not supposed to happen in Japan under its international treaty obligations. 6) that the more times these exclusions happen and get catalogued, the stronger a case can be made that government action to stop this is both necessary, as well as mandatory. 7) that the longer this goes on, the stronger the case can be made to claim wilful negligence on the part of the Japanese government for not protecting its international residents. Such is the result of living in the only developed country without any form of a law barring discrimination by race or national origin. But there is a solution of sorts: the courtroom. Because that is all we have left. When one can answer the critics and apologists with honest claims that all that could have been done has been done, and there is no choice but to file suit against the Japanese government for not doing its job of enforcing our constitution, then people will sit up and take notice. I will be discussing with friends and various groups in the new year about organizing a lawsuit against the government of Japan for not keeping its promises. It signed the UN Convention on the Elimination of Racial Discrimination (http://www.debito.org/CERD.html) in 1995, where it promised "without delay" to make laws against racial discrimination. Japan is clearly in violation. Close to a decade later there isn't even a bill proposal being drafted by the bureaucrats. This will not do, and there are plenty of people out there--excluded from apartments, restaurants, and other businesses and facilities open to the general public solely for their skin color or international background--who are sick of contributing to Japan without being able to spend their money and enjoy the fruits of society like anyone else. And for those who think that suing is one of those "American predilections", remember those multiplaintiff lawsuits filed by other victims of Japanese government negligence--Minamata patients, Hansen's Disease patients, etc. A suit against the national government would be a significant and effective recourse. It had better be. It's the only one we have. So when you get refused, turn the situation to your advantage. Make notes, photos, and hopefully other recordings of undeniable evidence that you were discriminated against on the basis of race or international background. The statute of limitations on these things is three years, so if you have a good memory, get cracking. There are templates for what sorts of information is necessary up at http://www.debito.org/roguesgallery.html (even if you are not interested in being a plaintiff per se, you are welcome to contribute a photo of an exclusionary sign to the site anonymously). There is a lot of stoneheaded silliness out there, and innocent people are being treated unreasonably and getting hurt. Time to make it clear that we are not just going to let it ride anymore.